Music plays an integral role in setting the right vibe for your business. The perfect playlist can be what brings customers to your store and keeps them there. But if you don’t have a good sound system for your location, you risk your customers feeling bored and distracted. With some guidance, you can find the best sound systems for your business in 2018, helping you to create the best setting for welcoming people to your location. Before we get into the details of how to bring the best audio quality to your customers, we need to clarify some of the technical terms that we’ll be using a lot in this guide. An amplifier is an electronic device that increases the amplitude (simply put, the loudness of sound) of electric signals. The term “amplifier” also refers to a device that is used in conjunction with a loudspeaker, which is most popularly used to amplify electric guitars and other electric musical instruments. For this guide, we will be using the first definition. An amplifier’s job is to take an electric current, magnify it many times over, and then send it to a loudspeaker, so that an audience can hear an enhanced version of the original sound. This brings us to the second term: a speaker. In the context of sound systems, the full word to use is “loudspeaker,” which converts the electric current provided by the amplifier, into audio sound waves. Without the speaker, there would be no human way of understanding the currents being thrown out by the amplifier. There is a big difference between most consumer sound systems and what you need for your place of business. Hi-Fi setups for the home are meant to focus sound in one part of the room, which is perfect for a small number of people. However, a retail store will likely have customers wandering from place to place within the store itself, to say nothing of the people passing by outside. The way to get around this is to have at least four speakers, with the idea of improving the distribution of sound as equally as possible. This is key because it helps you control the overall volume of each individual speaker without sacrificing the clarity of the music. In this way, customers are not overwhelmed by the volume, but the music is still more than an indistinct hum in the distant background. Unfortunately, getting this kind of audio fidelity doesn’t come cheaply. Nonetheless, you will make a good return on your investment. In 2018, consumers carry their music with them wherever they go, and a store that offers good-quality music makes a very favorable impression. The store owners who just have a basic stereo system with a couple of speakers will lose out to the places that spend a little more to make their customers feel relaxed and welcomed from the very second they cross the threshold. 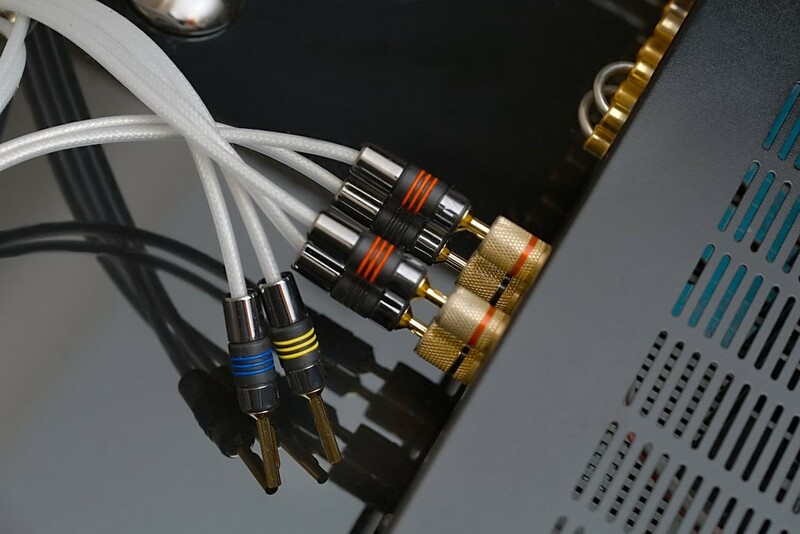 One way to do this is to purchase two or three hi-fi amplifiers, and connect them together in a process known as daisy chaining. This method tends to work well in coffee shops, because the noise of the espresso machine tends to be exacerbated in the acoustic environments that are otherwise conducive to conversation and work. Daisy chaining allows you to give each speaker its own volume, so no matter where a customer sits, they aren’t deafened or underwhelmed by your music. The way to achieve this is through a stereo amplifier that as a “rec out” ability, which allows you to hook the amplifier out to the input of a second amplifier – hence, daisy chaining. A big restaurant, or a retail store of 15,000 square feet, would probably benefit from buying multiple speakers that can be spread out far enough to distribute the sound as evenly as possible. Crutchfield suggests investing in a 70-volt system in order to avoid load impedence and to ensure that the quality is well distributed, regardless of the number of speakers. High-quality individual speakers can also be advantageous because it allows the same products and systems to also be useful for smaller locations. A bijou diner, for example, will not need an array of perfectly-positioned speakers because no customer will enjoy being blasted by music from all sides. 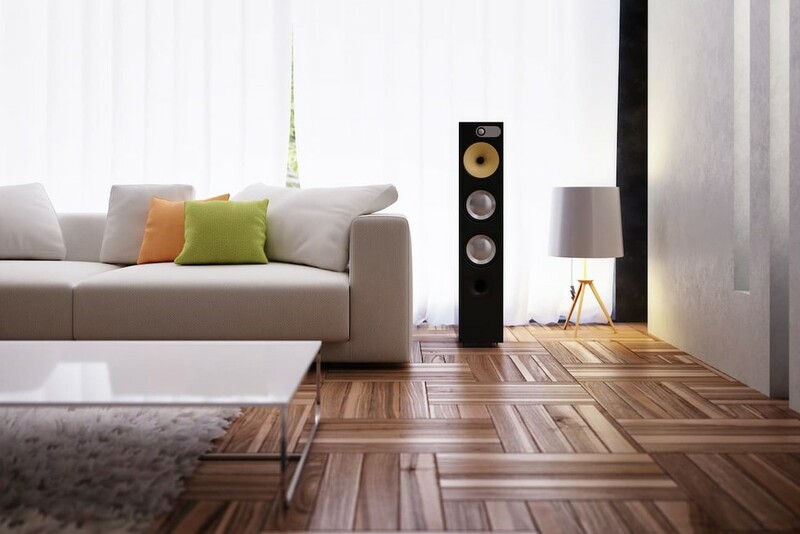 Depending on size and the maximum capacity of customers, two speakers might be just what you need. JBL, Bose, SONOS, Atlas, Crown, and QSC all offer the kind of speakers you’re looking for, most of them starting at $700. If you want to think bigger, a combined amplifier and speaker set will be helpful. Bringing the two together allows you to control the space and volume of your sound output. Conventional wisdom suggests that the volume from one speaker to the next should not be different by more than 10 decibels, and this works well for stores that range from 500 square feet all the way up to 4,000 square feet. Restaurants will especially benefit from this arrangement, but this depends to a large extent on the kind of speakers an owner has. If you are going to go as far as pairing your amplifier with speakers, it’s worth considering spending a little more to get decent speakers that will give your business high-fidelity audio. This will minimize the number of audio hotspots you must have in your location, and you can scale your sound equally and effectively. If price is not a factor, then you can think about investing in an amplifier with digital sound processing, and an audio mixer with multiple inputs and outputs. Audio mixers are also known as soundboards, sound mixers, or mixing consoles. However you refer to them, an audio mixer’s job is to take two or more audio signals, mix them together (hence the name), and produce one or more output signals. An audio mixer is like the conductor of an orchestra, collecting all the individual sounds and channeling them in one direction. The audio mixer filters and optimizes sound levels, adding equalization and other effects to enhance the sound as best as possible. Audio mixers are mainstays at live music events – you cannot have a live performance without an audio mixer and someone to run it – but they are also very useful for recorded music. In a business, having an audio mixer as part of your setup allows you to change both your audio zones and your volume zones. This is especially useful when you have a large space where you have multiple sounds coming through your speakers, and you need a mixer to balance and stabilize different outputs. In cases like these, you don’t need to have the most expensive speakers (although that wouldn’t hurt); it would be a better investment to buy a better amplifier since this would give you more control over the audio zones in your business space. Only a smaller number of companies offer the necessary hardware when you get up to this level of audio fidelity; Bose and DBX have options that start at $3,000. Perhaps the most important suggestion in this guide is that you should invest in your speakers more than anything else. Amplifiers and audio mixers are important, and deserve due consideration; but no matter how good they are, a bad set of speakers will let you down. Every business location has unique pressure zones, which impact the volume levels of the music you play, and this can be very distracting for your customers. Better speakers and better coverage maximize the control you have over how the music sounds in various locations throughout your store. Optimizing your music playback gives your customers a better experience, and it helps you create the perfect atmosphere for the general public to enjoy your business. 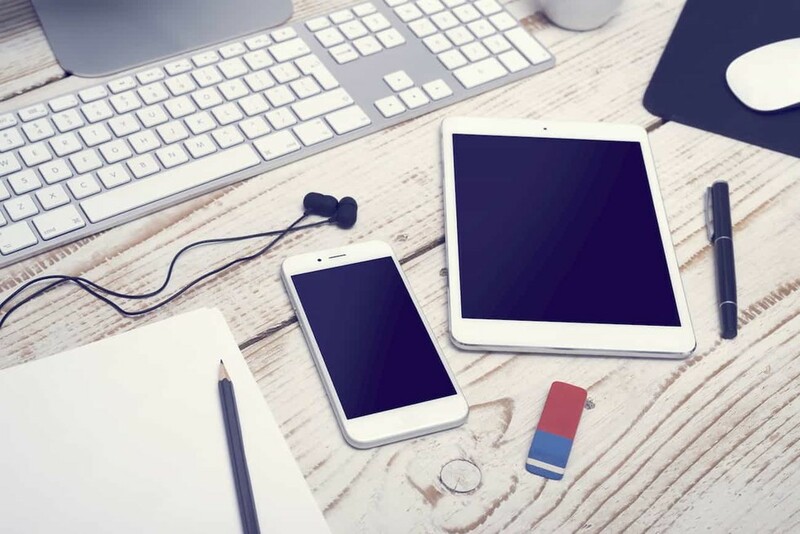 Many businesses use an iPad or a similar tablet at their point-of-sale, opting to replace the traditional cash register with a single device that can process payments, and keep inventory and customer records at literal and metaphorical fingertips. But an iPad or comparable tablet can also be a music source; any recognized app will create and play playlists while still being used for point-of-sale transactions. For iPads, the AirPort Express wireless router is perfect for connecting the iPad to the amplifier, saving you the trouble of physically connecting your music source to the amp; Bluetooth connections will also suffice. This way, you can bring your transactions and music management under one umbrella. A relatively new kind of speaker in the market is the smart speaker. These are wireless speakers with a built-in voice control capability. A user activates the speaker with a “wake word,” gives it a command, and the software in the speaker carries it out. The speakers are usually single-unit wireless speakers or soundbars working via a Bluetooth connection. The software is developed as an artificial intelligence by Apple, Google, Amazon, or Microsoft, with other technology brands like Samsung coming up with their own versions. Google Assistant powers the Google Home device; Amazon’s Alexa is the voice inside the Amazon Echo unit, and Apple’s iconic Siri is behind the HomePod speaker. Smart speakers allow users to request anything from music to local or even international news, from weather to sports, from traffic conditions to flight information, from radio stations to trivia games. Partnerships with other companies allow users to request cabs or order pizza, and installation into a smart home gives users the power to control their lights, air conditioning, garage doors, and home security system with literally the sound of their own voice. Smart speakers are big business. A 2016 study found that 61 percent of users liked the hands-free feature of their home devices, allowing them to multitask while interacting with the smart speaker. In 2018, simply being mobile isn’t enough; as of July, 18 percent of American consumers had at least one smart speaker in their homes. Smart speakers may have brought the digital age into our living rooms, but what does this have to do with business? The Lexington-Herald Leader writes that the strong push toward voice search and commands should be of interest to marketers and business owners. It is how we know what customers want, what they’re looking for, and what they like to do. 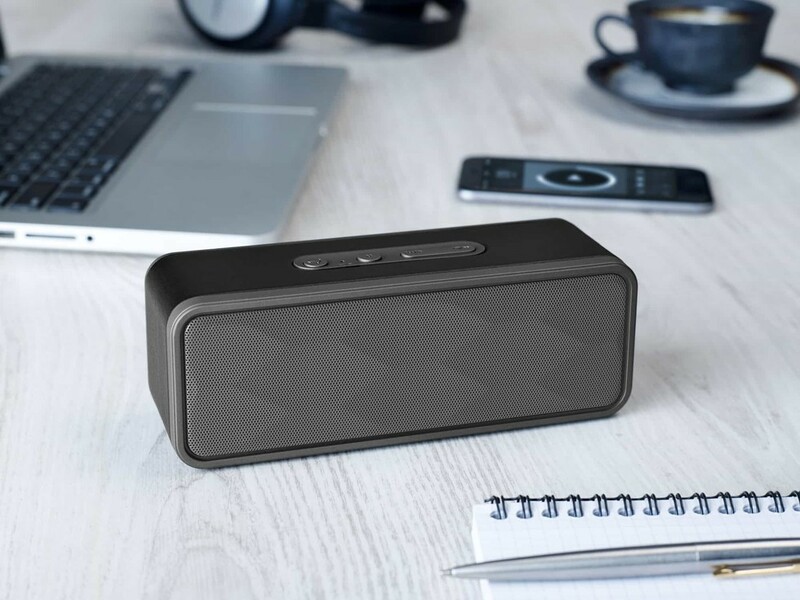 Using a smart speaker in your business means anticipating what customers are looking for in terms of services and products. Amazon Books, the brick-and-mortar retail bookstore owned by Amazon, not only offers the Amazon Echo smart speaker for sale, it also displays them for customers to interact with, simply by saying “Alexa,” and then giving the device a command; suggestions are often included on cards next to the devices. This intuitive form of interaction seems harmless, even fun, but it presents a vital point of connection between the customer and the business. This is how, for example, Amazon knows what people want (basic information about traffic and weather, adding items to shopping lists, or playing music), and tweaks its search engine optimization and software fixes to better deliver such results. The interaction also gives Amazon an idea of who their customers are and how Amazon’s unique resources can best help them. While most businesses don’t have those resources, they can nonetheless use smart speakers to learn more about their customers and then provide the necessary services. These are not just a few tech-savvy customers. Almost one in five adults, or 47.3 million people, have access to a smart speaker, with even children being included in that market. Missing out on a kind of communication and accessibility that almost 50 million people use at home could be lethal for a business. Using smart speakers in a business helps more than the customers. TechRepublic writes that the Apple HomePod speaker is great for conference calls and improving employee productivity by allowing workers to perform hands-free multitasking while working with relevant, real-time information, such as stock reports, calendar updates, and even sending text messages through a shared office Apple account. In this way, an amplifier, a set of speakers, an audio mixer, a smart speaker, and a computer to hold them all together can take your customer’s experience of your business to an unprecedented level of service and access. How Does an Amplifier Work? (September 2017). Explain That Stuff. Choosing a Hi-Fi System for Your Retail Business. (December 2014). Reg Point of Sale. Are You as Sick of Loud Music in Stores as I Am? (December 2012). Forbes. How to Wire Four Speakers to One Amplifier. Geoff the Grey Geek. What Does an Audio Mixer Do? Kettner Creative. How to Power a Multi-Room Music System. (May 2018). Crutchfield. iPad, Tablet Point-of-Sale Systems Gain Popularity. (May 2013). Entrepreneur. Smart Speakers – Everything You Need to Know. (June 2018). What Hi-Fi? The Voice Search Explosion and How It Will Change Local Search. (June 2016). Search Engine Land. Now 18 Percent of Americans Own a Smart Speaker. (July 2018). Billboard. How Voice Assistants, Smart Speakers Can Improve Your Business. (February 2018). Lexington Herald-Leader. Amazon’s First Washington-Area Bookstore Opens March 13. (March 2018). The Washington Post. 47.3 Million U.S. Adults Have Access to a Smart Speaker, Report Says. (March 2018). Tech Crunch. Kids and Technologies: Smart Speakers. (June 2018). Forbes. Apple HomePod: 3 Business Uses for the Smart Speaker. (February 2018). Tech Republic. Is Sonos Legal for a Business?